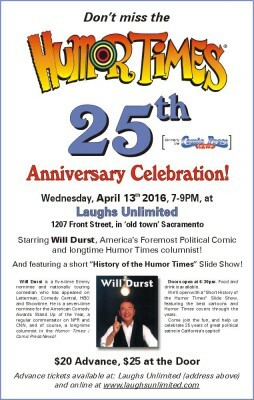 Don’t miss the Humor Times anniversary bash, starring comedian Will Durst and featuring a “Short History of the Humor Times” slide show! 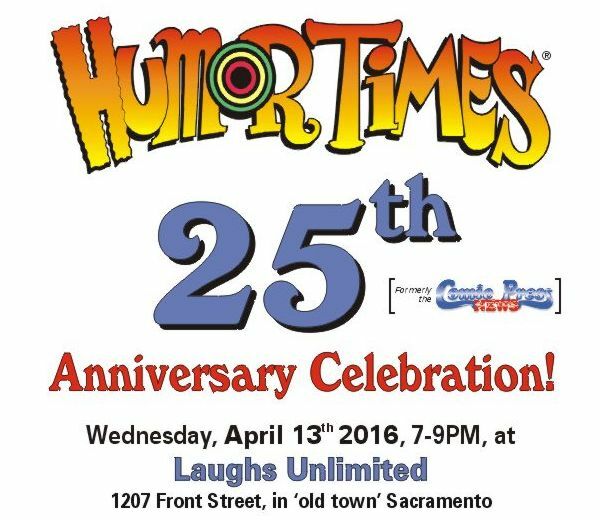 The Humor Times will be 25 years old April 1st (no fooling! 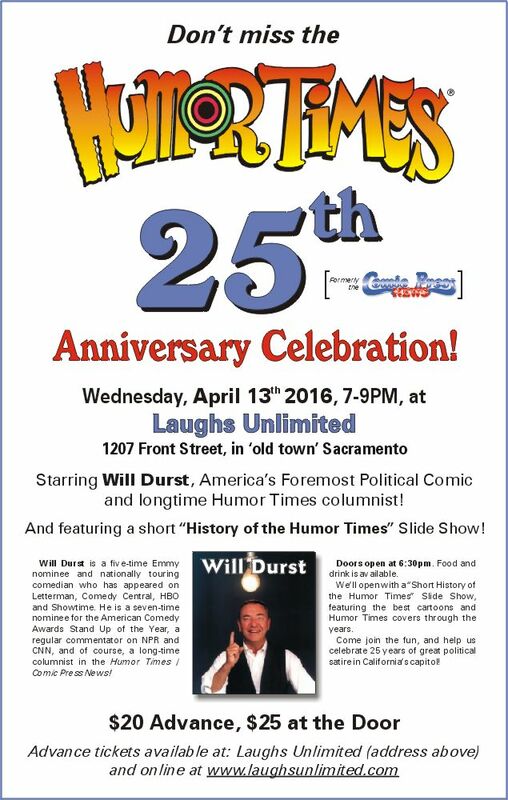 ), and we’re celebrating the landmark silver anniversary on Wednesday, April 13th, 7-9pm at Laughs Unlimited, 1207 Front Street, in old town Sacramento! 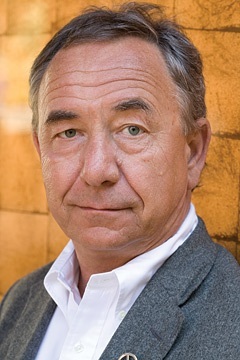 The event stars Will Durst, America’s foremost political comic and longtime Humor Times columnist. We’ll open with a short “History of the Humor Times” slide show, so show up early! Doors open at 6:30pm. Food and drink is available. nationally touring comedian who has appeared on Letterman, Comedy Central, HBO and Showtime, and co-stars in the documentary 3 Still Standing. He is a seven-time nominee for the American Comedy Awards Stand Up of the Year, a regular commentator on NPR and CNN, and of course, a long-time columnist in the Humor Times (formerly the Comic Press News)! The Humor Times anniversary slide show will showcase many of the very best cartoons and publication covers through the years, as well as fill you in on little-known interesting tidbits about the long-lasting political humor publication. Come join the fun, and help us celebrate 25 years of great political satire in California’s capitol! Tickets are $20 in advance, $25 at the door. Advance tickets are available at Laughs Unlimited (address above), and on their website here. Please share the news with everyone you know, using the share buttons below. Thanks, and see you there!